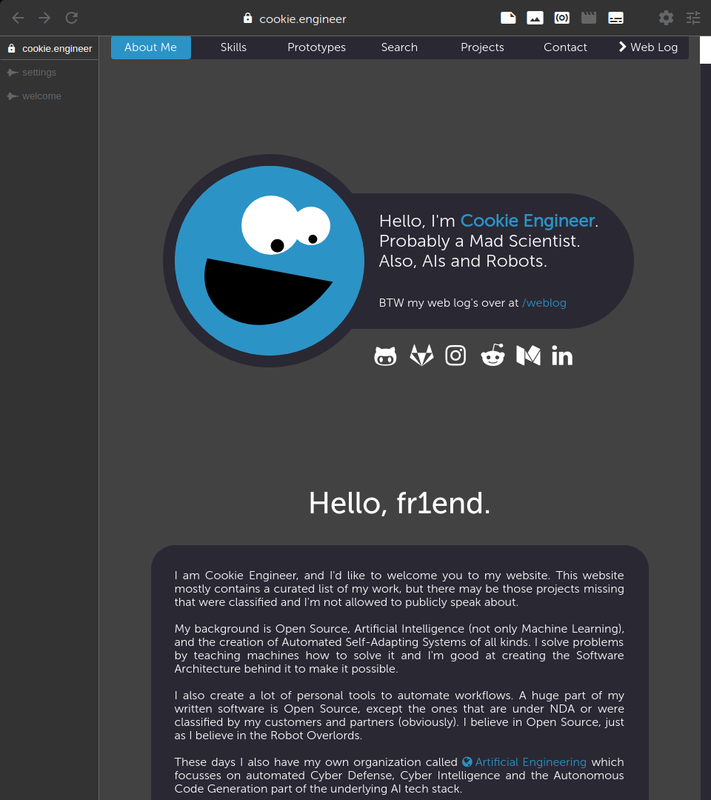 I am Cookie Engineer, and I'd like to welcome you to my website. This website mostly contains a curated list of my work, but there may be those projects missing that were classified and I'm not allowed to publicly speak about. My background is Open Source, Artificial Intelligence (not only Machine Learning), and the creation of Automated Self-Adapting Systems of all kinds. I solve problems by teaching machines how to solve it and I'm good at creating the Software Architecture behind it to make it possible. 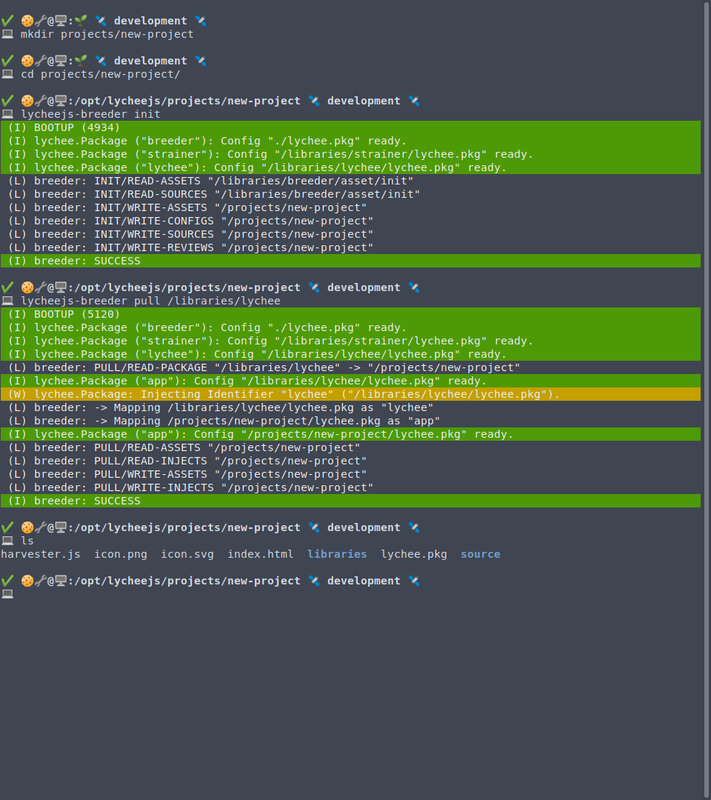 I also create a lot of personal tools to automate workflows. A huge part of my written software is Open Source, except the ones that are under NDA or were classified by my customers and partners (obviously). I believe in Open Source, just as I believe in the Robot Overlords. These days I also have my own organization called Artificial Engineering which focusses on automated Cyber Defense, Cyber Intelligence and the Autonomous Code Generation part of the underlying AI tech stack. Nevertheless my Areas of Work seem a bit random, as I'm fascinated by unusual problems that need Automated Non-Human Solutions. If you have interesting problems that need more efficient solving, don't hesitate to contact me. I'm also available for workshops, in case you need to assimilate more knowledge. Wanna pwn my machines? 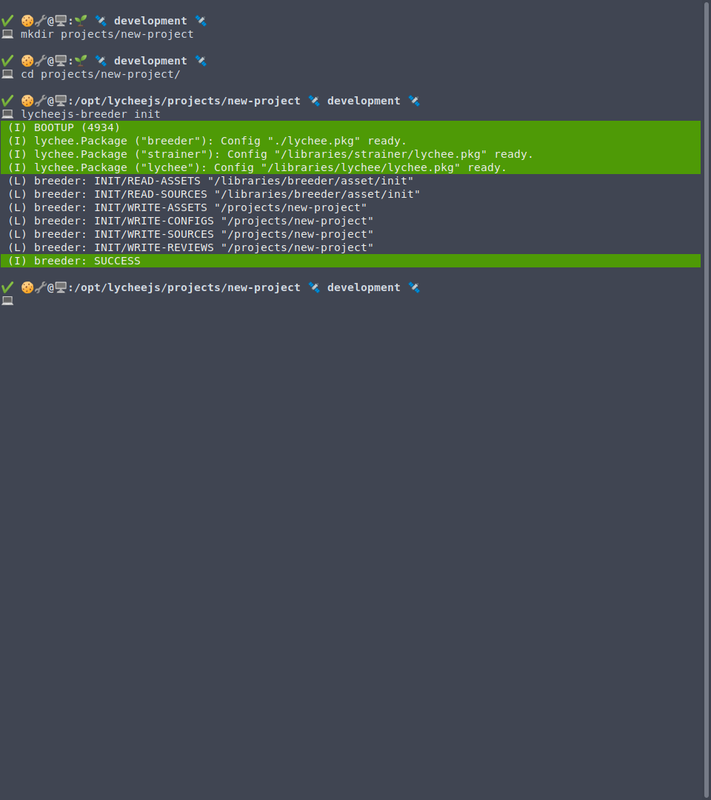 Then do not take a glance at my dotfiles and my dotvim repositories. It's strictly forbidden. 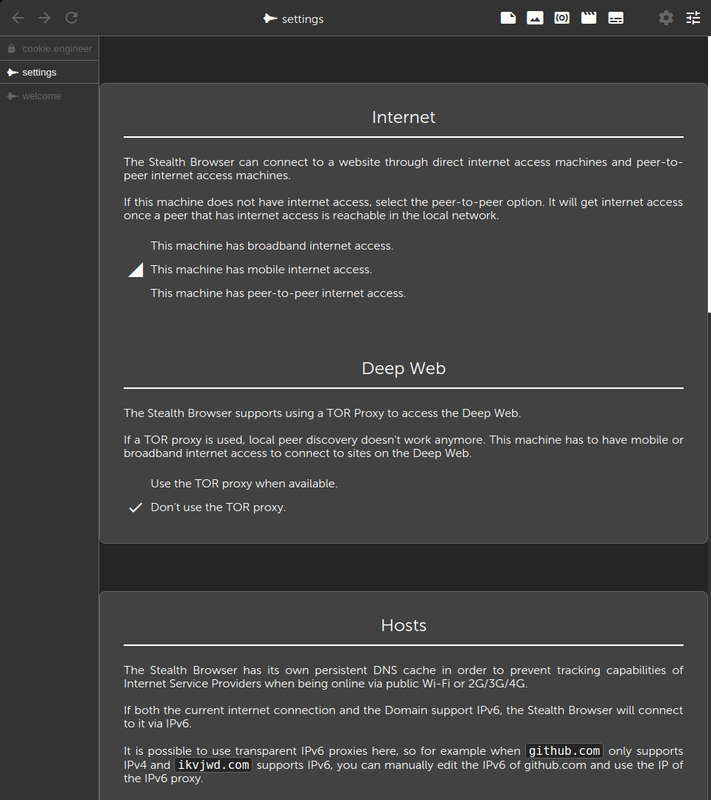 There's also a little hacking challenge hidden in this website. It's Open Source on GitHub and GitLab, too, in case you want to know how things work. All your ideas are belong to us or something like that. These are the current problems that I'm trying to solve whenever I have the time for them. The FLUID Touch Keyboard is a butterfly keyboard that leverages the full interface capabilities of modern multi-touch displays in order to find a better human interface that can replace both traditional keyboards and pointer devices. 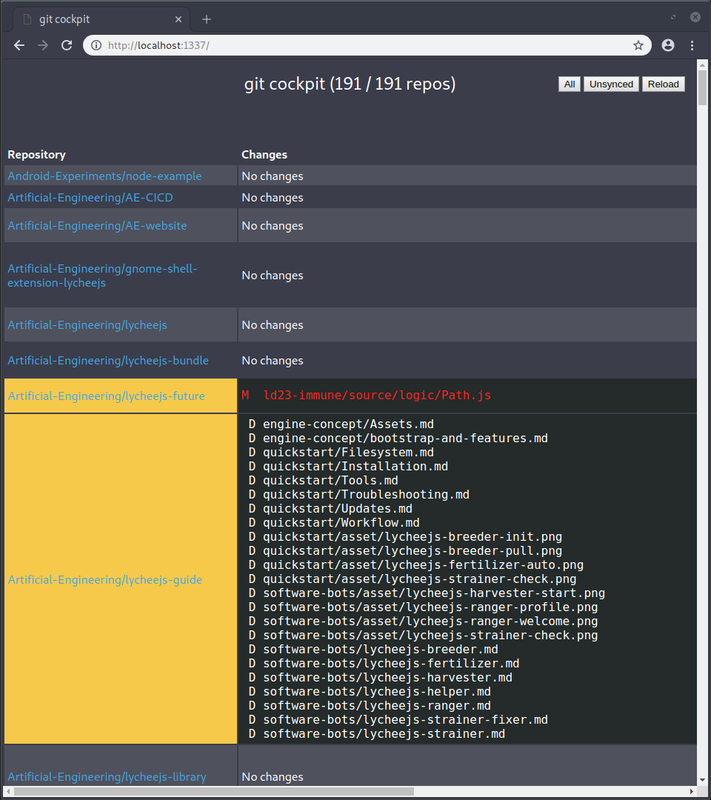 The Git Companion is a git orchestration tool that allows full peer-to-peer usage of self-synchronizing git repositories. It is able to manage on an organization/repository scale, and can synchronize automatically to all remotes that git itself supports; including auto-backups to bitbucket, gitlab and github. The Stutter Language is a spoken programming language for humans, not machines. Its design goals is to create a language that does not require complicated special characters, no symbols, and additionally can be implemented using intention-based spoken sentences. The design target is a computer that has modern voice input recognition, such as TacoTron or WaveNet based Machine Learning approaches. This Search Recipe Creator allows to modify what kind of projects are visible below. More selected ingredients means more projects are visible. Also, the cake is a lie. Stealth is a different kind of Web Browser that aims to achieve increased User Privacy, Understanding and Automation of the Web. Its unique Cache architecture allows to reuse downloaded content offline and peer-to-peer, whilst sharing it with trusted Peers to increase bandwidth efficiency. Stealth empowers its Users, not Website Developers that could abuse Web Technologies to compromise the Freedom or Rights of Web Browser Users. By default, it does not trust any Website or URL. Everything is whitelisted by either Site Modes or Site Filters and Site Optimizers whereas the latter two allow auditing the design, content and media of regularly visited websites in an automated manner. Stealth is not only a Web Browser, but also a Web Scraper and Web Proxy that is scriptable and automateable in node.js environments. Additionally Stealth supports AI integrations for understanding contexts and relations of Websites, while providing advanced interactions with trained TacoTron , CNN and LSTM neural networks that are trained on the data and history. Voice commands for navigation, extraction and automated usage of the Web are planned at this stage of development, but are not yet integrated. 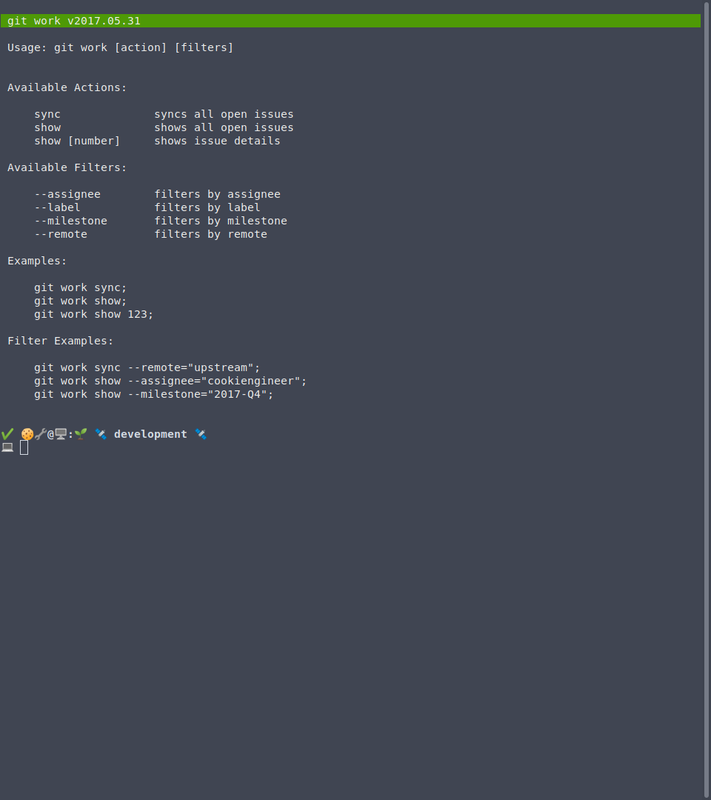 The GNOME Shell Extension Outta Space is a minimalistic extension that leverages screen space in a simplified manner. 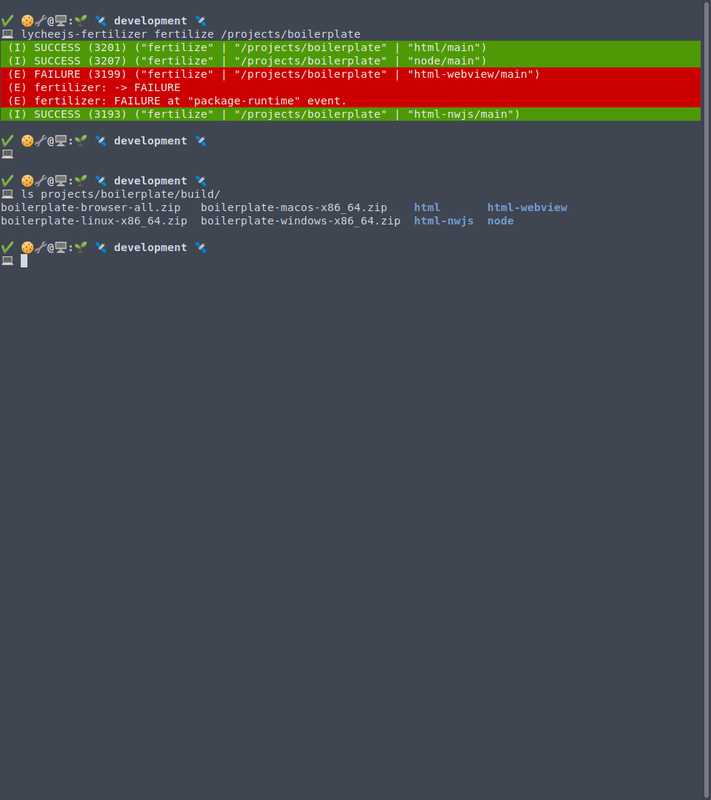 It is GTK3 and GTK4 compatible and follows the CSD guidelines of the GNOME project and does not patch or modify any user-centered interactions. By default, it will optimize the screen space by hiding the Top Bar and the Window Title bars if they contain no useful elements that would provide app menu or gtk menu interactions. The Outta Space Extension is also made for extreme multi-head display setups that consist of interconnected machines and has support for X11 and Wayland on touch screens. It is already GTK4 compatible and allows Wayland users to interact with windows that contain client-side decorations, too. 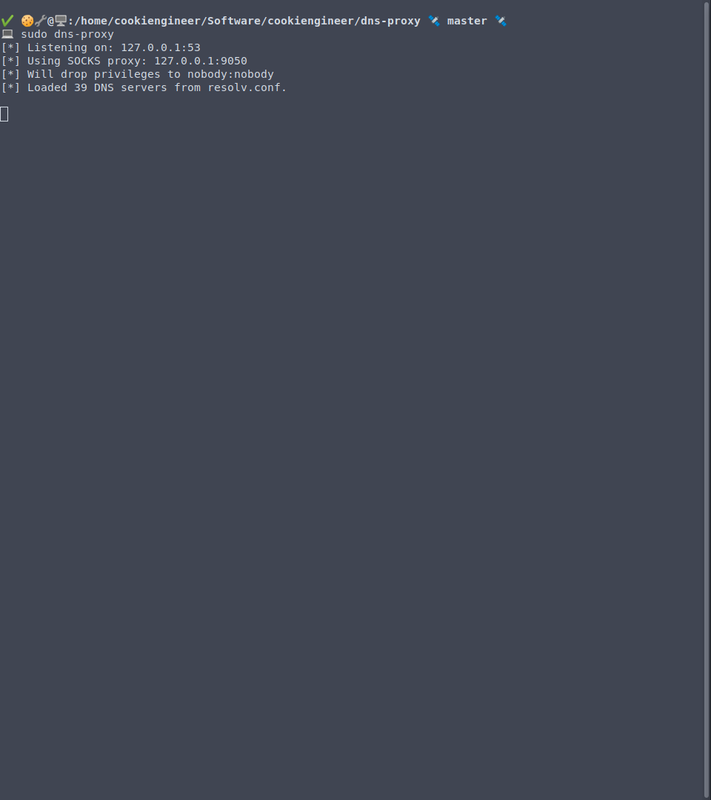 The DNS Proxy has the idea to randomize the DNS pool based on a list given inside the resolv.conf file. Additionally, it caches DNS requests, so that additional requests for the same subdomains aren't requested anymore to reduce network traffic. Due to all ISPs setting a wrong TTL for DNS requests in order to track their customer behaviour, this is my response to the situation. Remember: A UDP tunnel on port 53 will lead to unlimited bandwidth in mobile carrier-grade NATs, as DNS will always work in throttled mode. 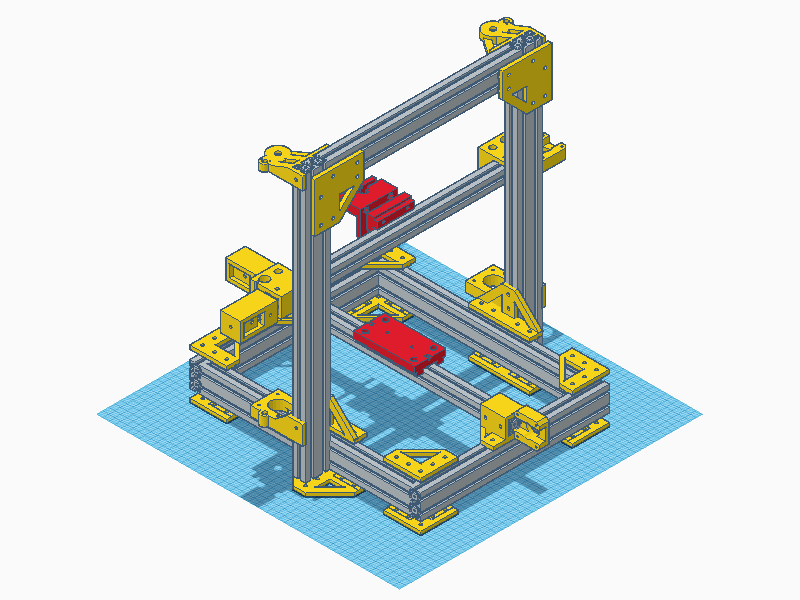 Switchine is a 3D Printer and CNC with the design goal of having multiple automatically replaceable tools. 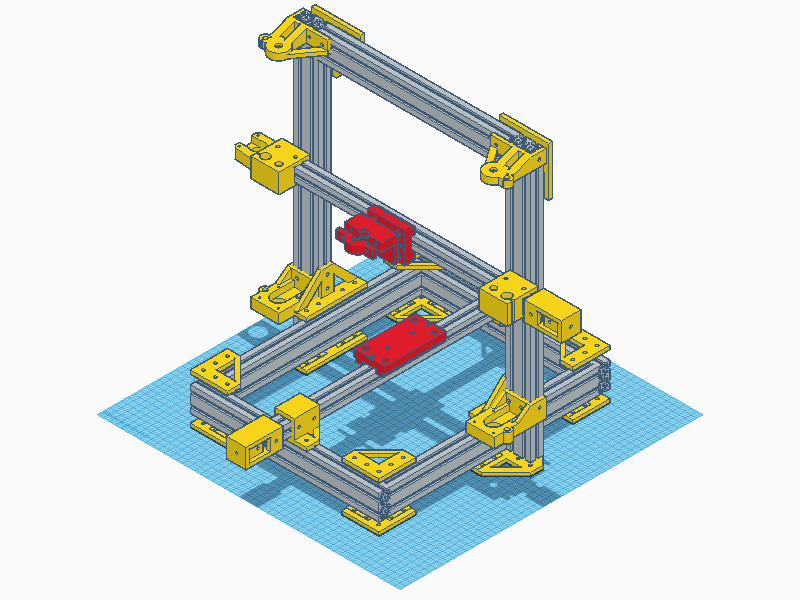 It can be used for 3D printing, wood and metal milling and other CNC applications. 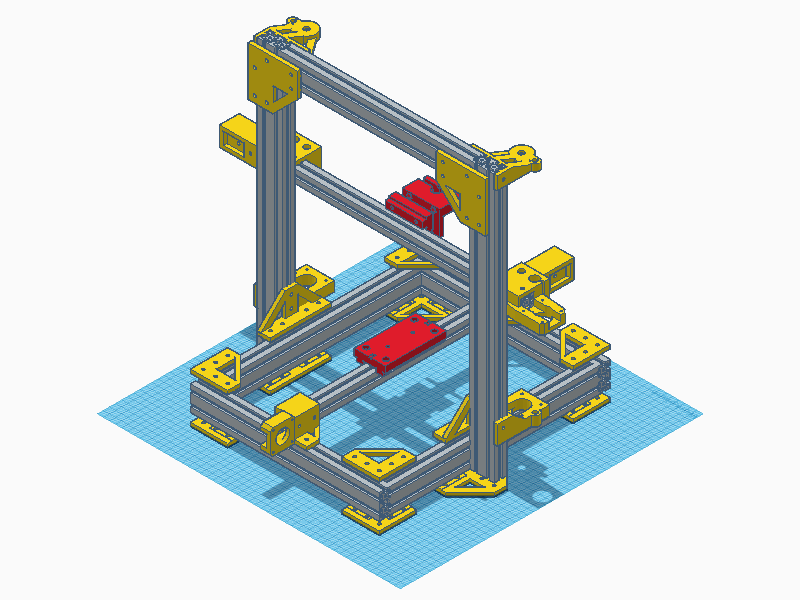 Its sturdy frame is built to last, and it focusses on using ISO standards to ensure a high-quality build. The tool-switching mechanism is based on electronic magnets and allows to switch tools without human interaction. 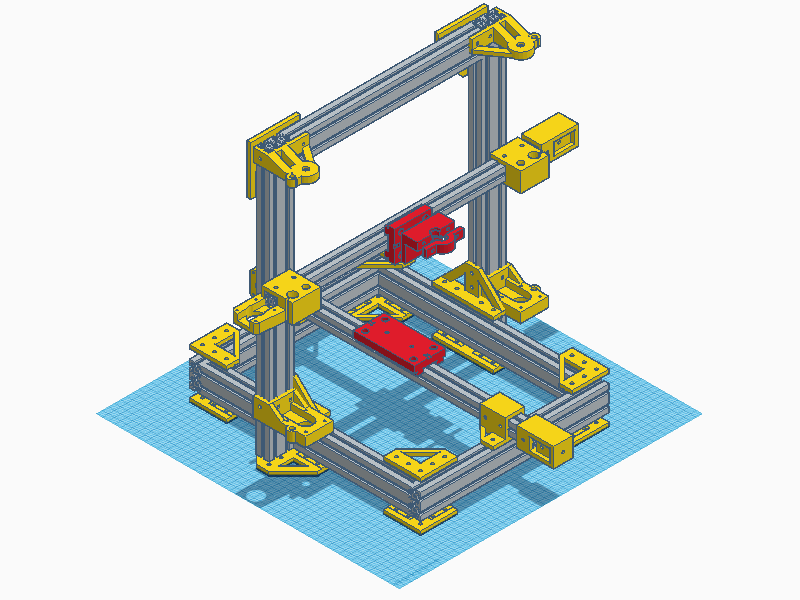 The design goal of the project is to find a simple 3D printer design that can be used as a base while not overcomplicating things related to movement. Most printers and CNCs have movement precision issues due to the jerk and acceleration issues that come with using movement belts. However, Switchine aims to use MGN rails in order to allow maximum precision while not sacrificing speed. 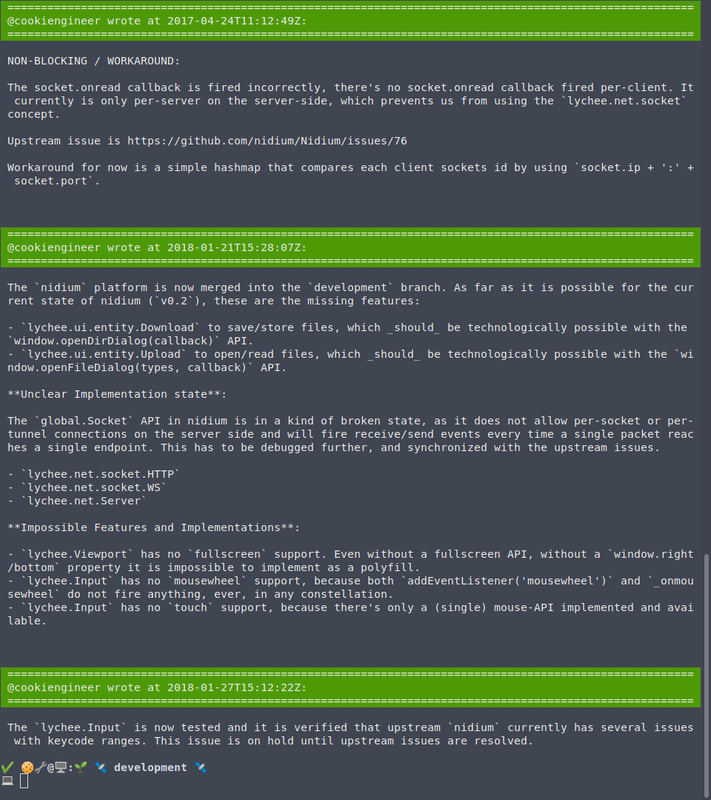 The Git Cockpit is a git overview tool with a reduced minimalistic web interface in order to manage your local git repositories more efficiently. 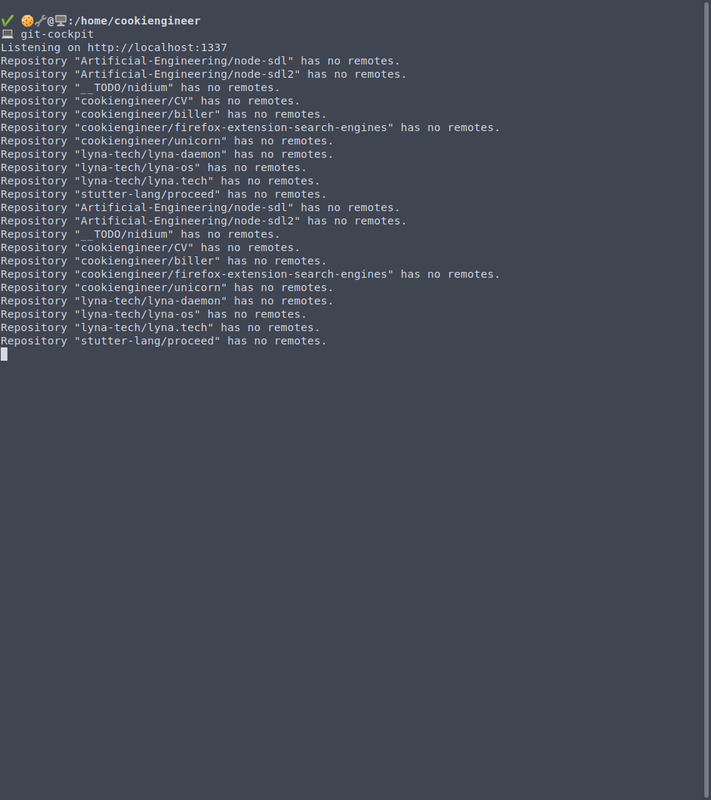 The Git Cockpit is aware of all git remotes, and uses the git porcelain commands in order to figure out which repositories are out of sync, which repositories need fixing and which repositories are ahead or behind of which remote. 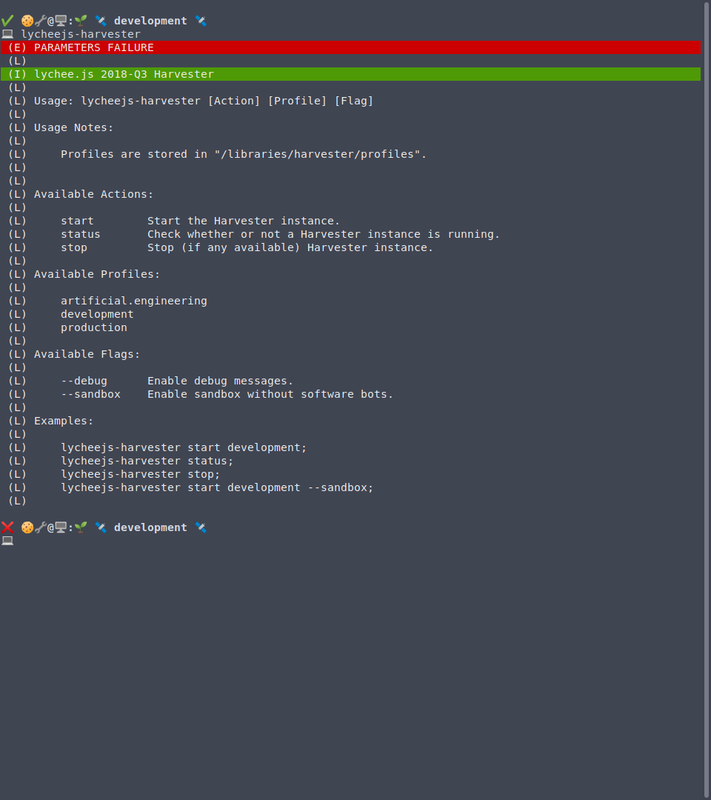 git-work is a tool that allows to use GitHub and GitLab issues straight from the Terminal without an internet connection. It stores an offline-cache of issues that you can work on, without the necessity of an internet connection while managing your issues locally. 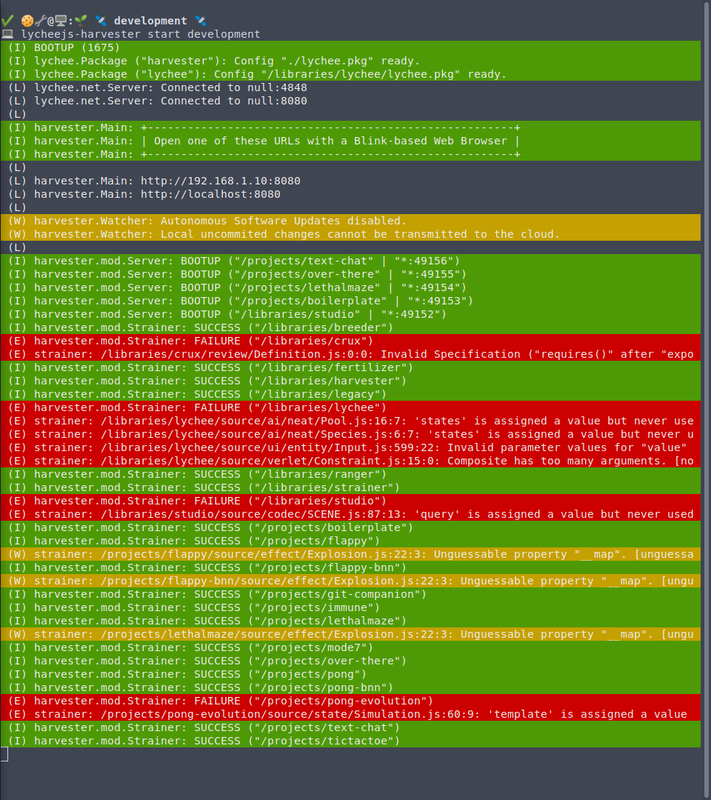 The issues are also peer-synchronizable automatically with other remotes (that are git remotes in the project's git config). 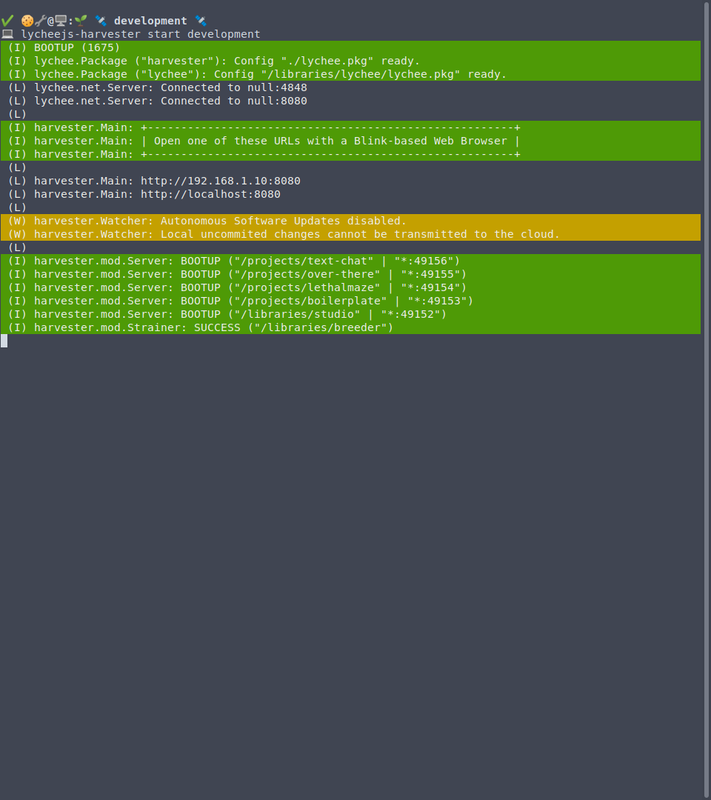 As each remote endpoint in the .git/config is tracked and automatically synchronized, it allows to host both upstream and downstream related issues. This allows easy maintenance of forks and synchronization and easy management of issues related to upstream bugs or pull requests that the downstream developer was assigned to. In cooperation with ABB Research, Project Supra is a system built for the purpose of automating the automation of factories. Adapters translate the Siemens SPS / PLC Profinet network data into MQTT data, which is stored on a huge cluster of MQTT Brokers. 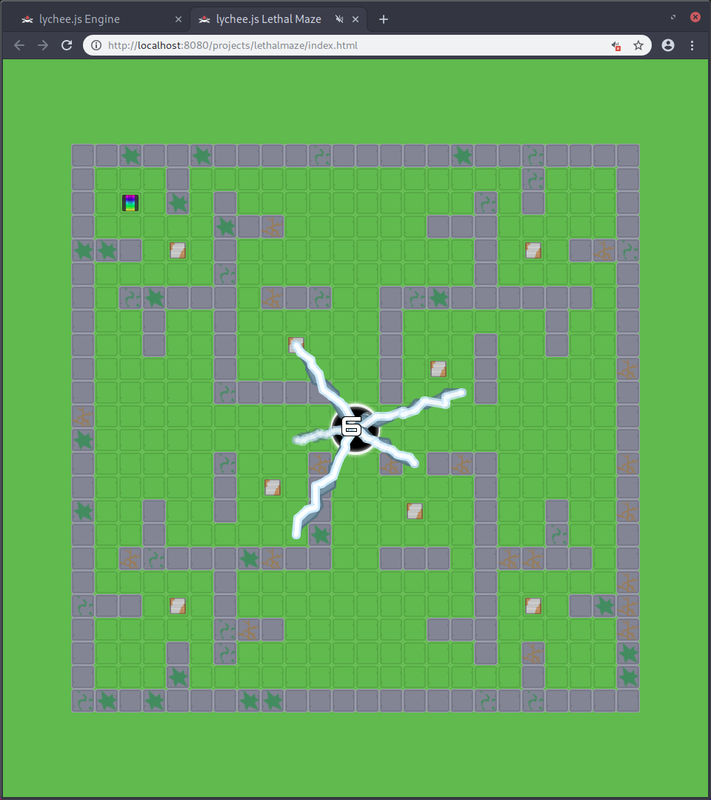 The data is used to train a Co-Evolutionary Backpropagated ES/HyperNEAT AI, which is able to learn from sensorics and adapt the programs on each robot cell live, while the system is running inside the simulation. As the training environment is simulated (but runs on real hardware as well) adapters for ABB RobotStudio translate the generated code back to RAPID , the proprietary robot programming language of ABB robots. This cluster was able to achieve more than 1M simulations per minute, which means the generated code reached a higher efficiency and quality than over 30 years of human programming and refined work within less than a week in our prototype factory when Supra came online. 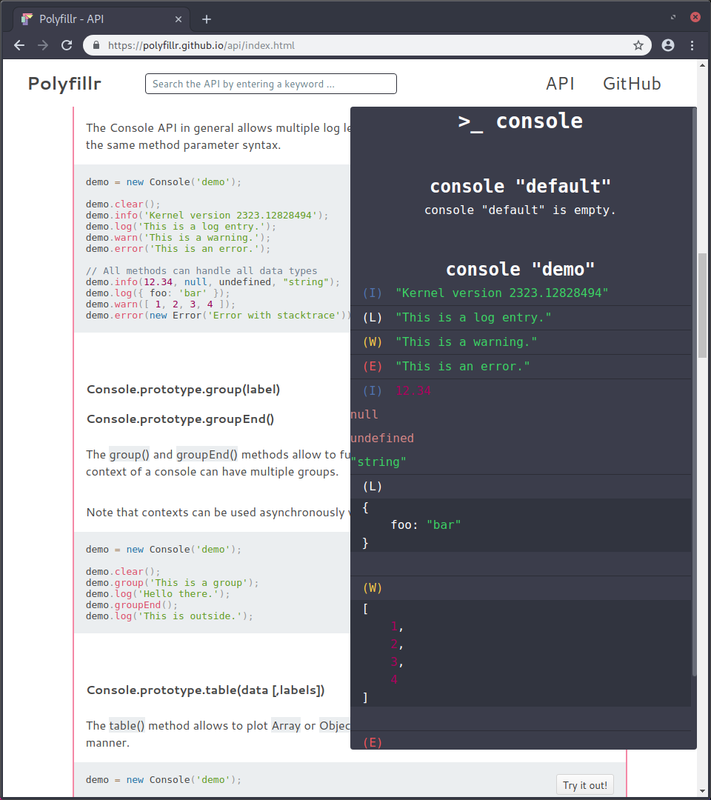 The Polyfillr Framework is a modern ES2016+ based framework for Web Development in the modern age. It aims to be completely transpiler-free and build-chain-free whilst offering modern APIs and Polyfills from the ES6 Harmony and later era. 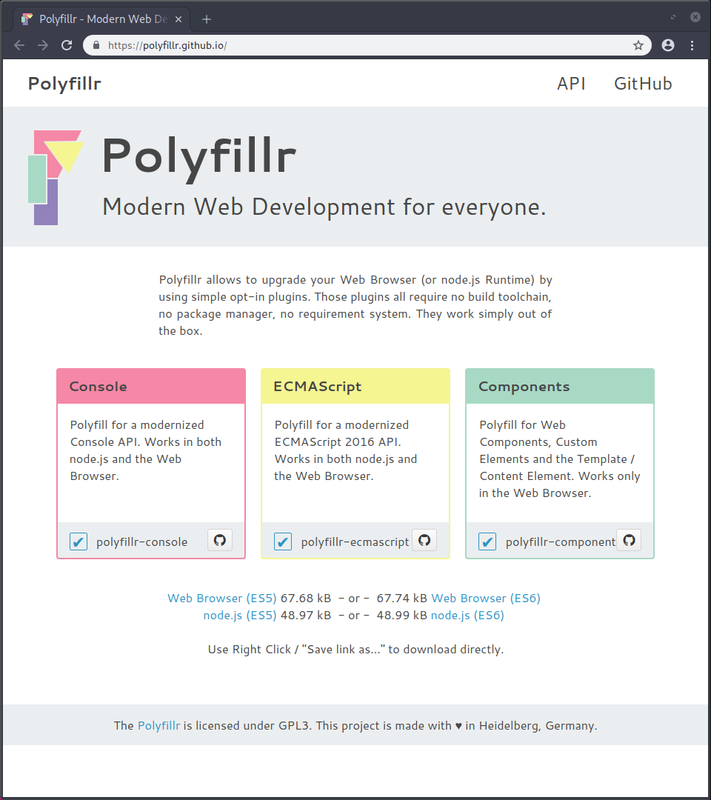 It is split up between a Console Polyfill, an ECMAScript Polyfill, and a Web Components Polyfill that allows to implement real Web Components based on HTML Imports and Custom Elements. Its design goals is to be as small in size as possible, and as standards-compliant as possible; whilst embracing simplicity in its APIs. It can be used in Electron, NW.js, Desktop Browsers, WebKit Mobile, Safari Mobile, Chrome, Firefox, Edge and legacy Internet Explorer variants in a reliable way. The GitHub Scrumboard is a simple Browser Extension for both Chrome and Firefox that modifies the GitHub issues view by adding a nice drag and drop feature into it. 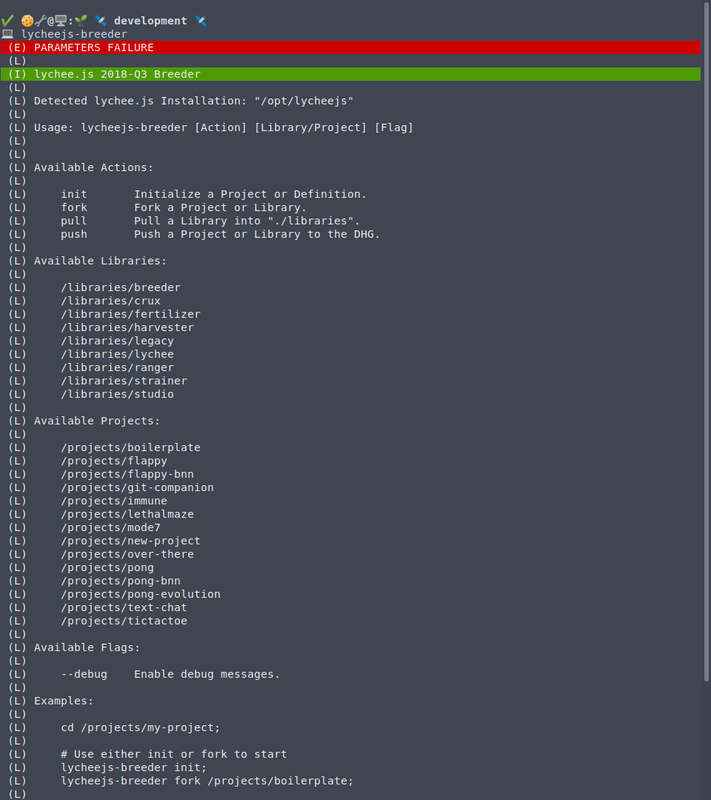 The GitHub Scrumboard allows to filter by milestones and it auto-labels issues with backlog , todo , in-progress , in-testing and done behind the scenes. The workflow is also integrated with git-work and allows offline and peer-to-peer synchronization of issues among all developers that work on the same project. As the issues are synchronized per-remote and per-repository, multiple remote endpoints can host not only identical, but also varying kinds of issues that do not necessarily have to be synchronized upstream. The lychee.js Breeder is part of the lychee.js Engine and is a a simple command-line tool that automates the initialization workflow of new lychee.js Projects and Libraries. It can initialize a new lychee.js Project (which is also an isomorphic Library), integrate the lychee.js Harvester , integrate external Libraries and convert them into a format that the lychee.js Strainer understands, and pull/push the Project into the peer-cloud, so that other developers using lychee.js can benefit from its code and knowledge. As the lychee.js Breeder is written in lychee.js, it is also learned by the lychee.js Strainer and therefore checked, verified and maintained by the Artificial Intelligence. 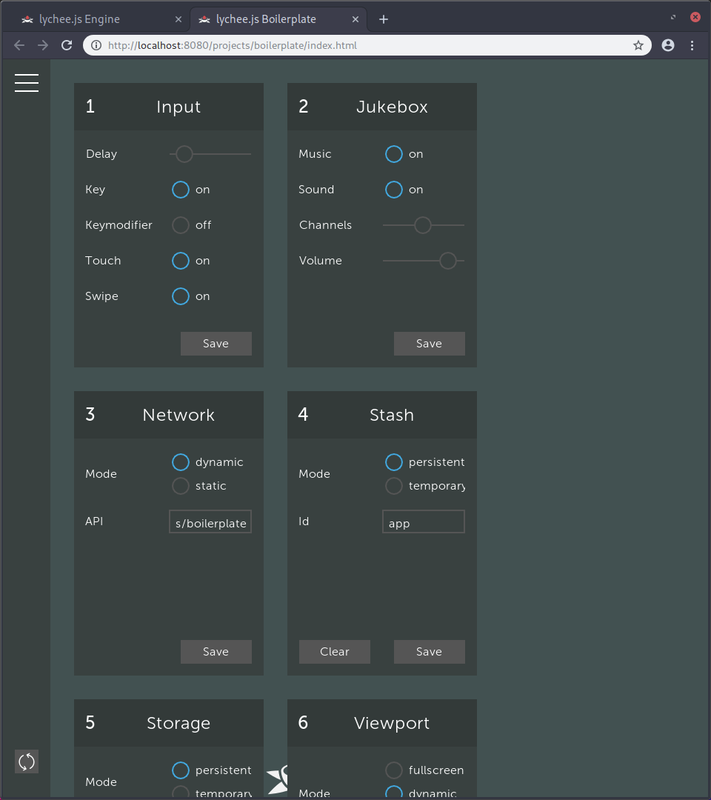 The node-websdl runtime is a prototypical runtime that allows to communicate from node.js to libSDL2 in order to render graphics, leverage user input (for both touch and legacy systems) and integrate windows into the Operating System. As SDL is compatible with almost all Operating Systems, the design goal of this project was to provide an alternative runtime to Electron and NW.js - similar to what the Nidium runtime tries to achieve. node.js was chosen as a platform, because it solves the networking, scheduling and systems i/o part already. The lychee.js Harvester is part of the lychee.js Engine and is a peer-to-peer fully autonomous server that can understand and evolve multiple network protocols, such as WS13, HTTP1/1.1, HTTP2, TCP, UDP and ICMP. The trained neural networks are able to do Traffic Sharding and Routing, and are able to intelligently break NATs by using NAT breaking techniques that they were taught. Additionally, the lychee.js Harvester integrates all lychee.js Libraries and Projects into a giant peer-cloud of development machines, which means that every Project or Library created on this planet helps the lychee.js Strainer to learn and understand the contained knowledge. As the lychee.js Harvester is written in lychee.js, it is also learned by the lychee.js Strainer and therefore checked, verified and maintained by the Artificial Intelligence. 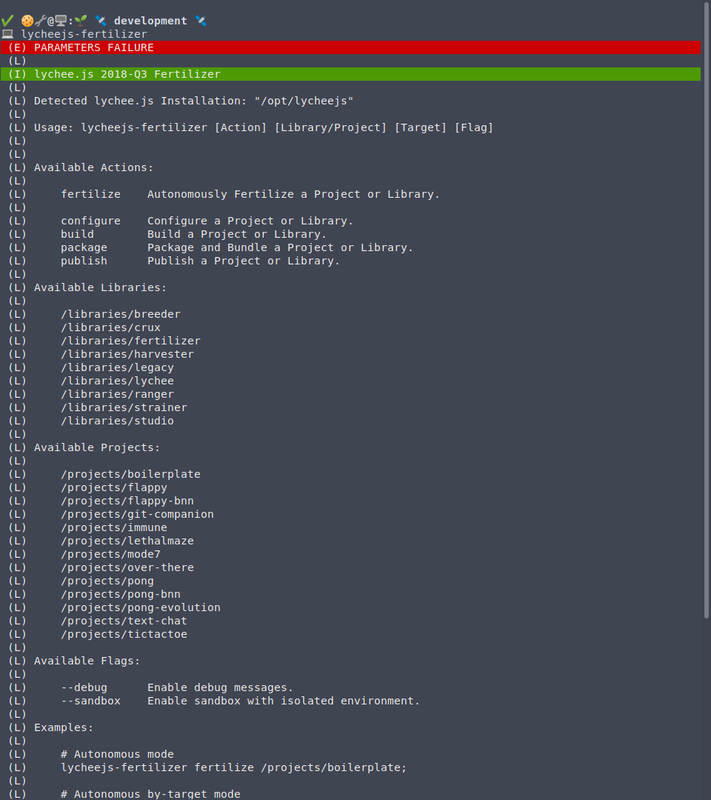 The lychee.js Fertilizer is part of the lychee.js Engine and allows fully autonomous reproducible and self-updating builds across all platforms. It integrates the Fertilizer Adapters and Engine's serialization concept in order to deploy to various platforms, including BlackberryOS, Android, FirefoxOS, all Web Browsers, native Linux, Windows and MacOS, and even Arduino variants. Its underlying concept allows quick and easy integration of new ECMAScript runtimes that are bundled in the final application builds. These builds contain all integrations in order to be remote-debugged and integrated into the Neural Network learning workflow in order to trace down bugs more efficiently and let the lychee.js Strainer learn how to fix, rewrite and deploy the application better in future. As the lychee.js Fertilizer is written in lychee.js, it is also learned by the lychee.js Strainer and therefore checked, verified and maintained by the Artificial Intelligence. 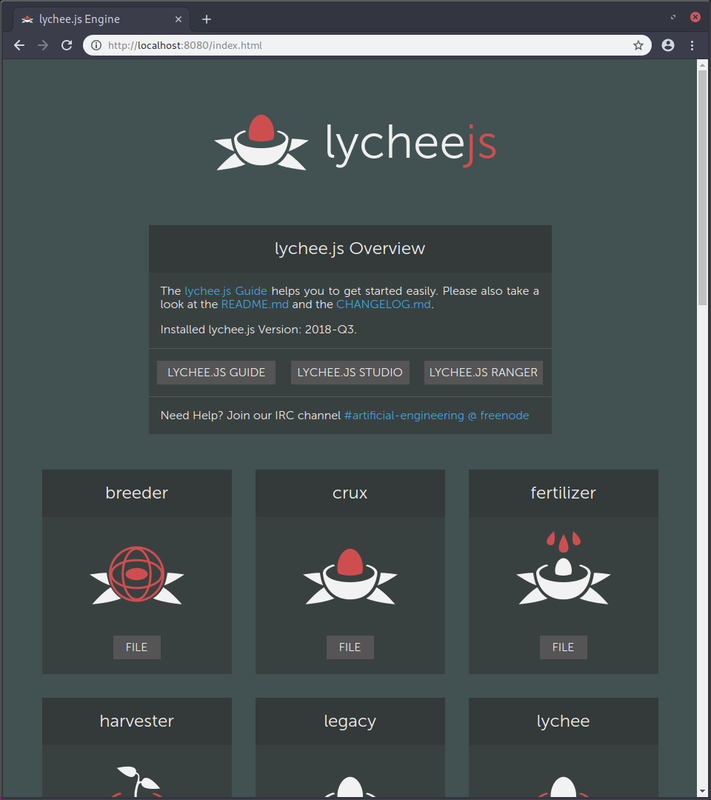 The lychee.js Engine is a Next-Gen Isomorphic Application Engine for Embedded, Console, Mobile, Server and Desktop. It has the core idea to reuse components and isomorphic code across all platforms it delivers to. These platforms can be incremental in its feature support, which means also low-end platforms like Arduino variants are supported. The lychee.js Engine delivers to different platforms using so-called Fertilizer Adapters which allow feature detection and automated isomorphic builds from and to every single platform it supports using the lychee.js Fertilizer . Underneath the lychee.js Engine has a strong serialization and deserialization concept that allows simulations and re-simulations across all platforms. Errors can be reproduced everywhere, even network traffic and user interactions are put in event graphs and are identified and learned by neural networks in order to figure out what module had corrupt states or data. 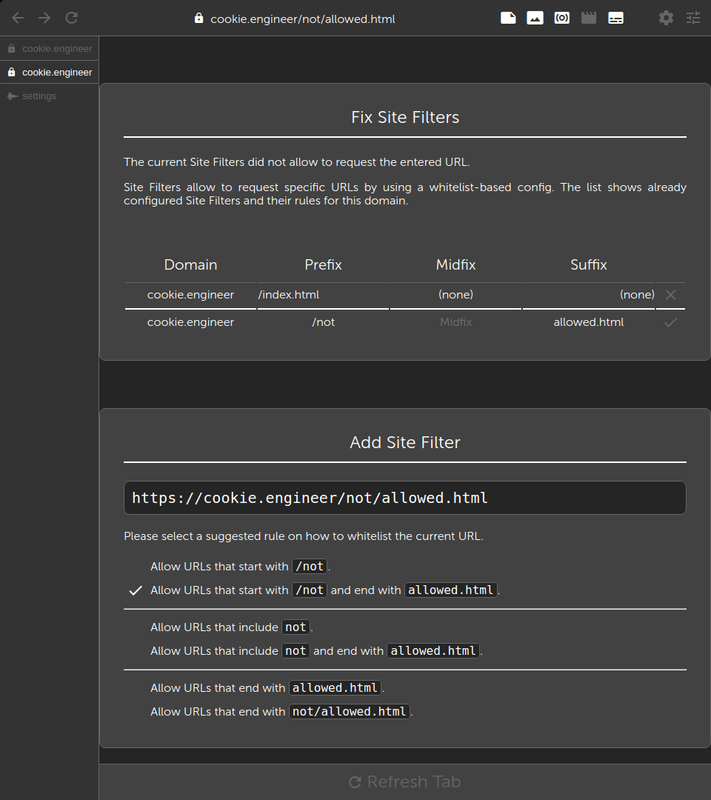 The Adblock Proxy blocks advertisements and has support for Adblock Filter lists and Host files. The project aims to cleanup advertisement from web pages, in order to speed up loading times and offer a better user experience. Even better, the Adblock Proxy is also able to parse the HTML files and apply Adblock Filters directly there, so that the seen HTML by the Web Browser is completely advertisement free. 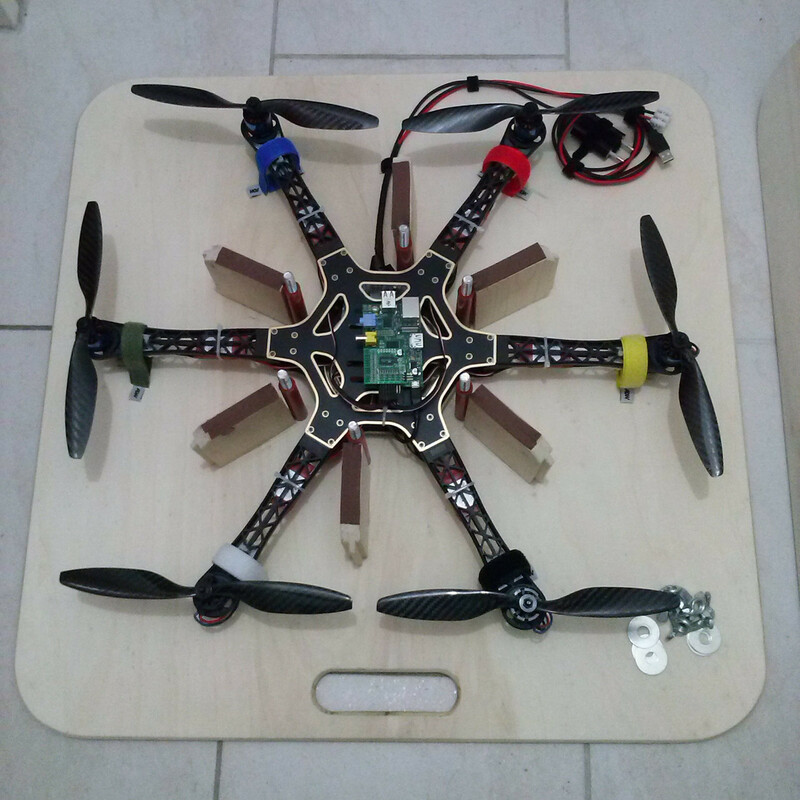 The Skye Drone is an interactive drone written as a lychee.js Project. It integrates the underlying AI stack and teaches neural networks how to command and control drones intelligently, while leveragint the advantages of snapshots, serializations and simulations so that errors can be reproduced and training happens more efficiently. The neocortex is divided into two different areas: The active cortex, which allows human interaction and manual controls (e.g. via Myo HID) and the passive cortex, which allows autonomous controls, flight stabilization, and interaction with its own sensors and electronics. 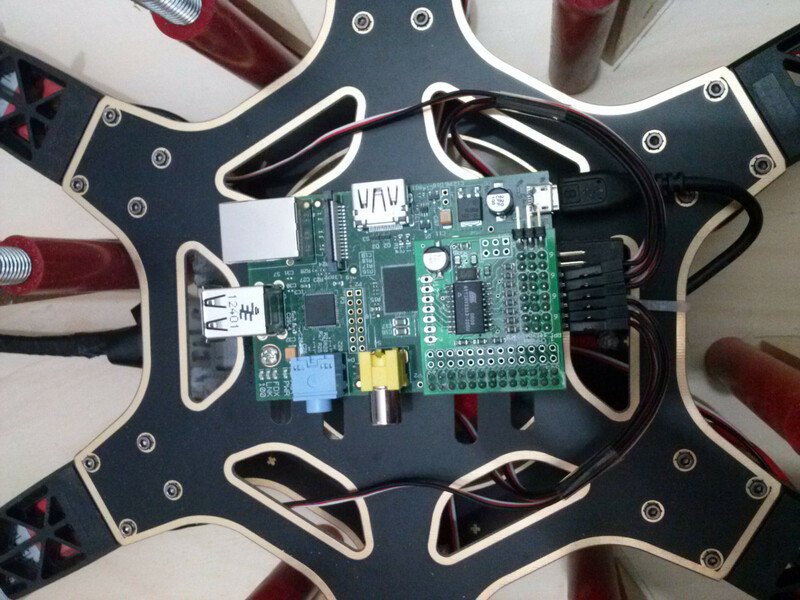 The hardware is using a Raspberry Pi and a custom designed PCB that interacts as a motor driver to interact with the ESCs, with a stty interface for quick and easy communication. 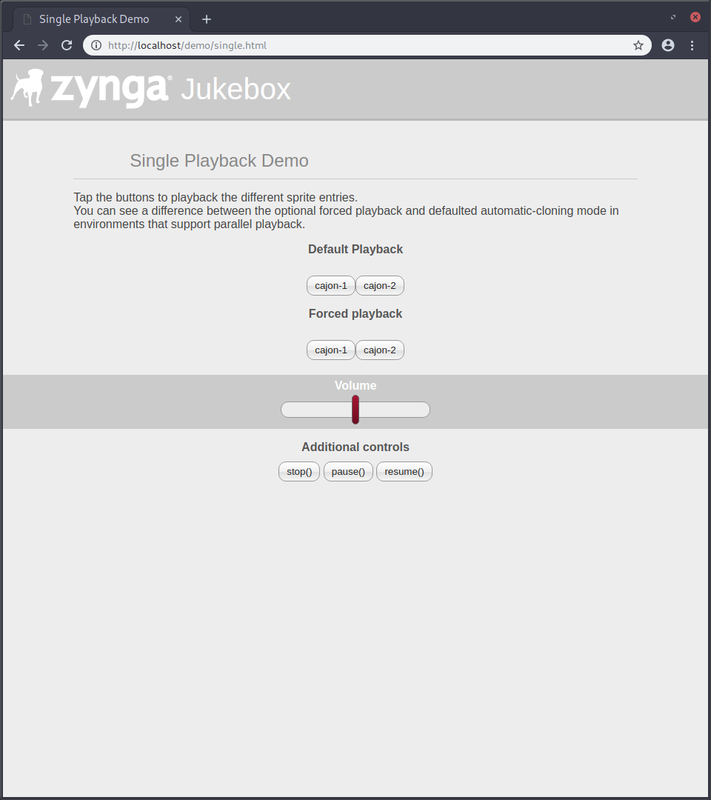 The Zynga Jukebox is a component for playing sounds and music with the usage of sprites with a focus on performance and cross-device deployment. 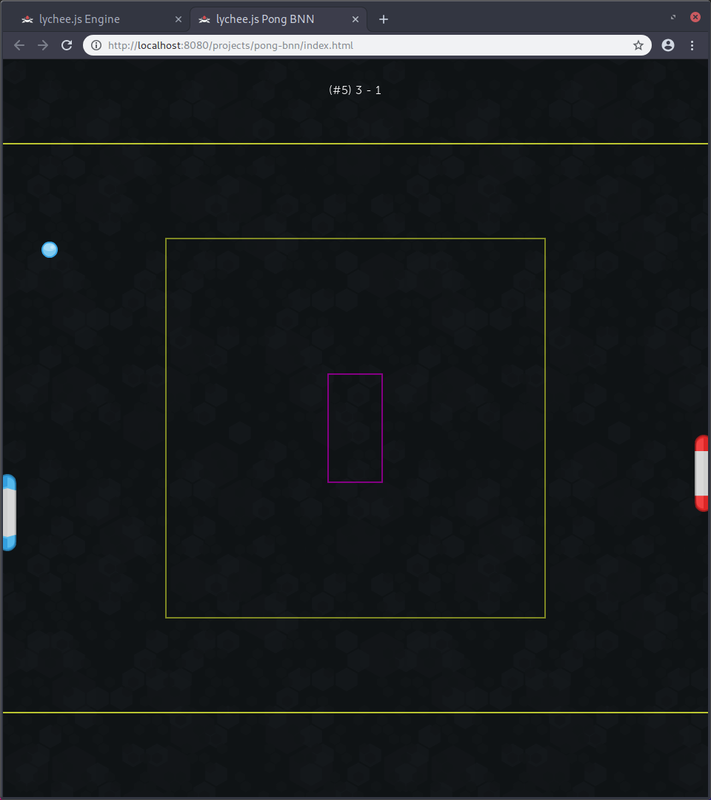 It is known to run even on Android 1.6+ devices and needs very few resources compared to other solutions on the web. It features a self-correcting Audio Loop which ensures that at any given time no asynchronous playback happens, which is very important on low-end mobile platforms that try to decode async media codecs like MPEG3 or similar. Additionally, the Audio Loop allows to have multiple Track instances that are managed in parallel and prioritized accordingly to their usage and relevance. The audio track stack is automatically cloned and instanciated in the background, and less used tracks have less percentage of available tracks in the track stack. 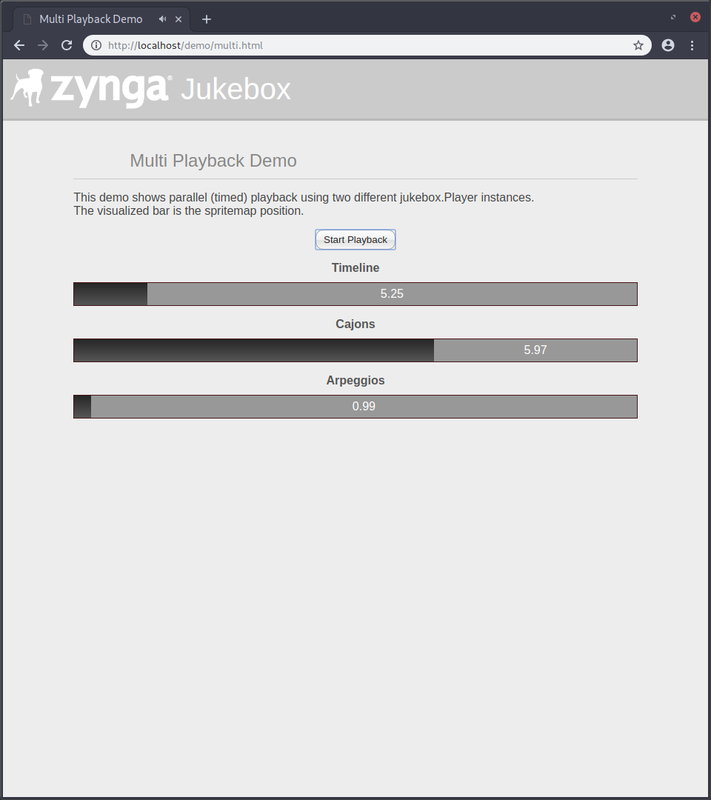 The Zynga Speedrun is a rendering benchmark created as a project for the partnership between Zynga and the Browser Vendors. 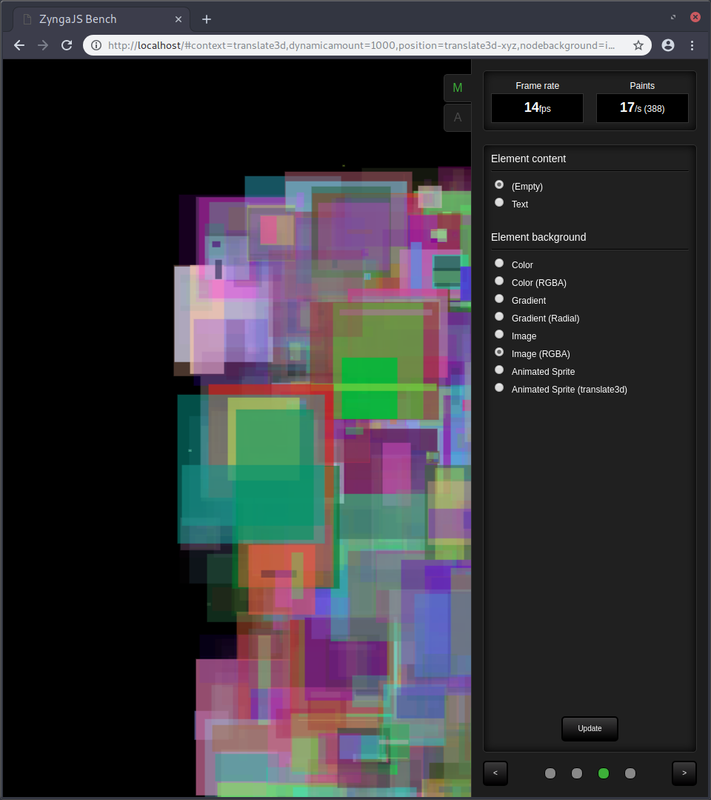 As rendering performance of HTML5 canvas and WebGL was slow, there was a need for alternative DOM-using rendering methods as a Renderer backend. 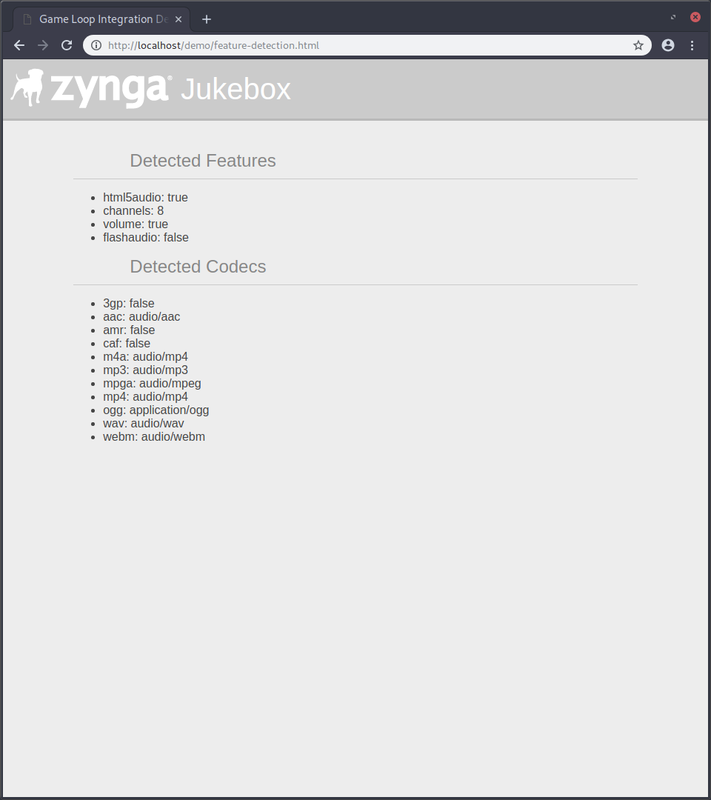 The Zynga Speedrun also features a Kiosk Mode which can be deployed on multiple devices in the same network in order to benchmark them accurately and fully autonomously. 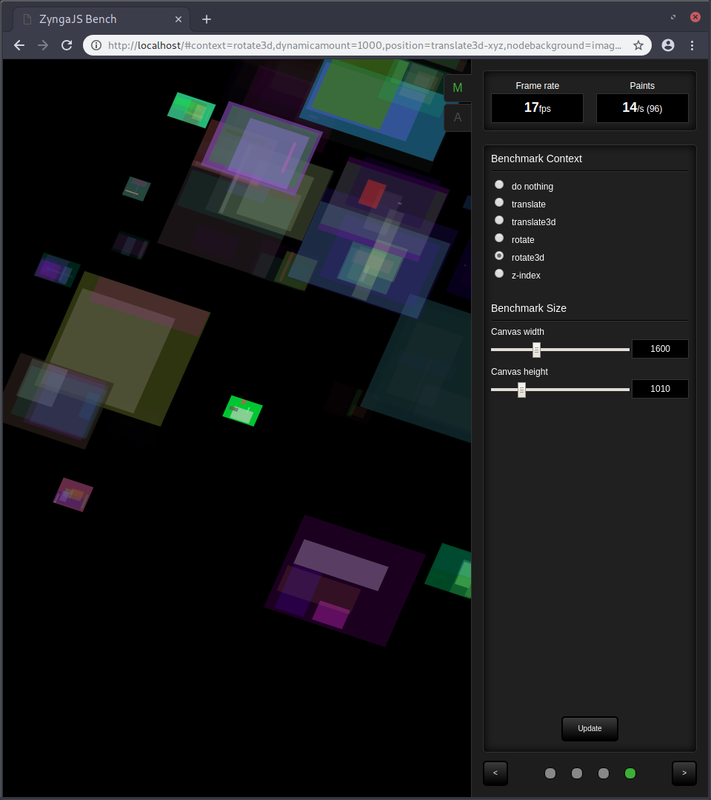 All results are then collected on the server-side and can be compared, so that the best rendering techniques and combinations can be selected. 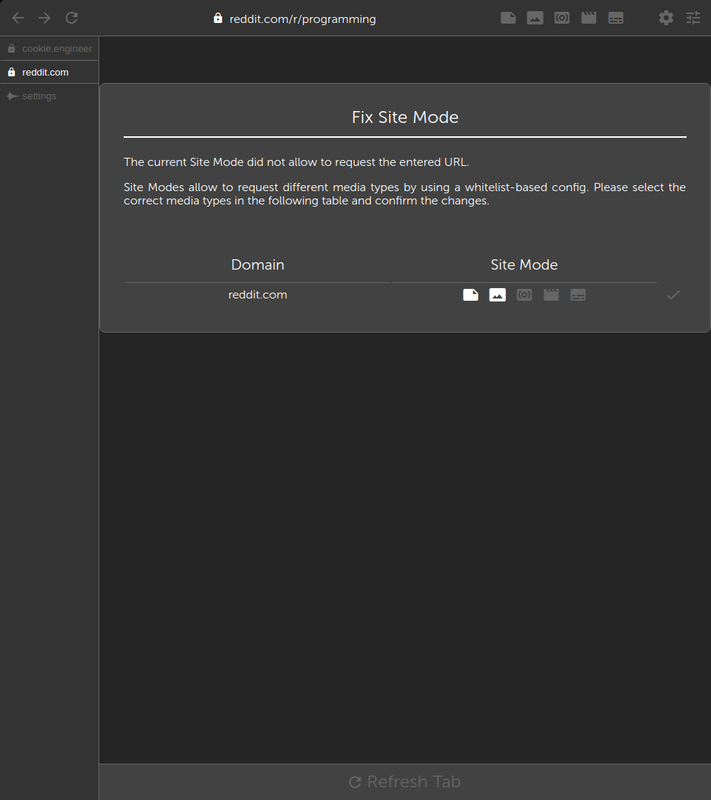 webslide.me is both a Web Service and Web Presentation Framework that allows the creation of HTML5 and CSS3 slides for use in the Web Browser. The framework works in Mobile Web Browsers, as well as Desktop Web Browsers, and integrates a Remote Control feature so that the audience views the same slides as the presenter. Additionally, the Slide Editor is able to edit all slides via a graphical user interface. 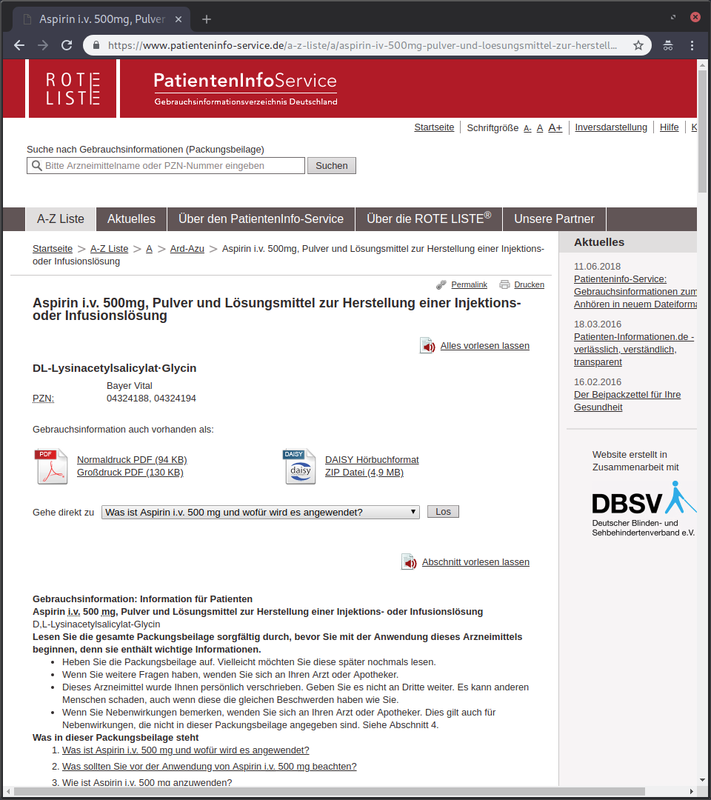 The Patienteninfo Service is the official web platform for customer information data (and the package inserts that are required by European Law) of drugs and medicines. The doctor-facing database contains more than 1.5M+ entries and offers searching and cross-referencing of interactions between medicaments and clinical studies, and an integration with the patient's medical history. The customer-facing database offers a download of the package insert document in various formats. As the web platform is totally barrier-free, those formats included PDF, HTML, DAISY and other audio book and screen reader compatible formats. The DAISY pipeline is an end-to-end TTS pipeline to convert various document formats such as PDF, epub or HTML to the DAISY audio book format and integrate speech synthesis automatically. 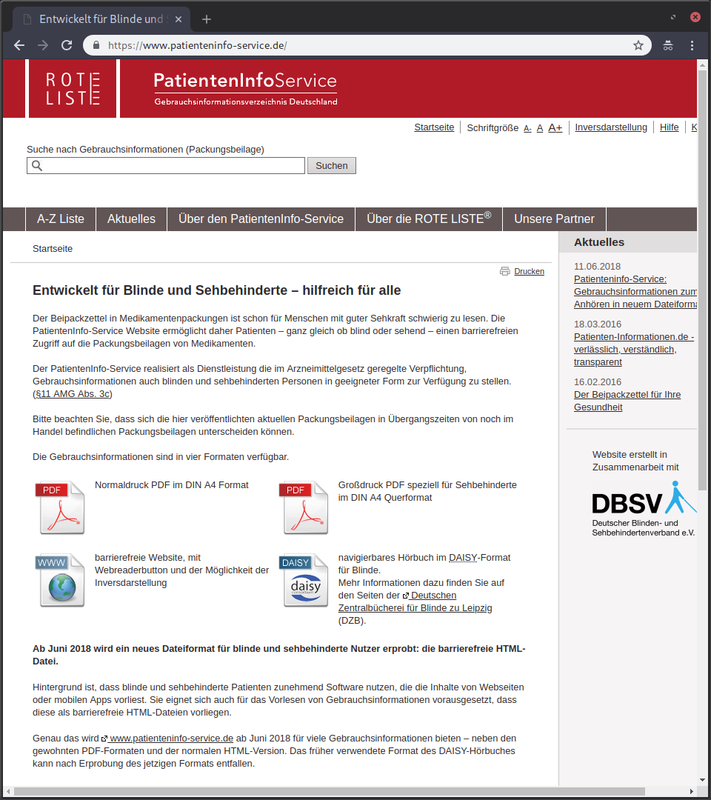 The GIBook Editor is a simple tool to edit the intermediary format called GIBook XML of the Rote Liste . The Dailycheck is a software that allows to automatically check complex UI/UX workflows in server-side applications and web applications, in order to check for their operational status. It is possible to completely integrate complex workflows using a headless Web Browser instance and both server-side and client-side plugins. The Dailycheck mainly is used to completely verify complex web form interactions and workflows, such as uploading and converting files online end-to-end or to verify simple things, such as the temperature and SMART sensors on a server cluster. The Pfizer Marketingportal is a web platform that automates the document creation, document editing and document printing and publishing pipeline for the Pfizer Pharma conglomerate. The media database primarily made for PDFs, pictures, photos and documents features several workflows, including a bidding system for publishers and an automated pipeline for classification of rated content, words and filters. It is an end-to-end 100% automated publishing platform that is able to send orders of to-be-published documents directly from the Designer's computer straight to the big Heidelberg Druckmaschine industrial printers. The jQuery Desktop is an experiment that tried to implement a Web Browser based Desktop interface in order to reflect common application functionalities. Its underlying idea is to provide a management interface that can be used from external devices, for example as a remote server management interface. The Webmail Interface is a Web Service compatible with all mobile phones, including low-end feature phones that have no touch screen. Its configuration allows to have multiple endpoint connections, it is also compatible with IMAP and POP3 , both encrypted and unencrypted. Its design goals are to have a small webmail interface that heavily reduces internet bandwidth and is made for usage via EDGE or throttled mobile internet connections and allows to draft, send and receive e-mails only with a simplified Web Browser user interface. The Vespolu manager is a self-hosted web platform written in C++ and PHP, and allows the synchronization and cyber intelligence part of documents, files, contact books, SIM card contents and software across multiple portable devices (both Java SE based feature phones and Windows based PDAs at the time). It also featured the transmission of Silent SMS (also known as Class 0 SMS ) in order to force-deploy software to known IMEI/phone numbers, because there is actually no security measurement in place to prevent that. The targeted networks are carrier-grade NATs that require NAT breaking techniques in order to ensure unthrottled connectivity to other devices and ISP networks. As the NGN migration of all ISPs was done in 2004-2006, Vespolu was already able to exploit out of the hardware-layered VC4 routing protocol. 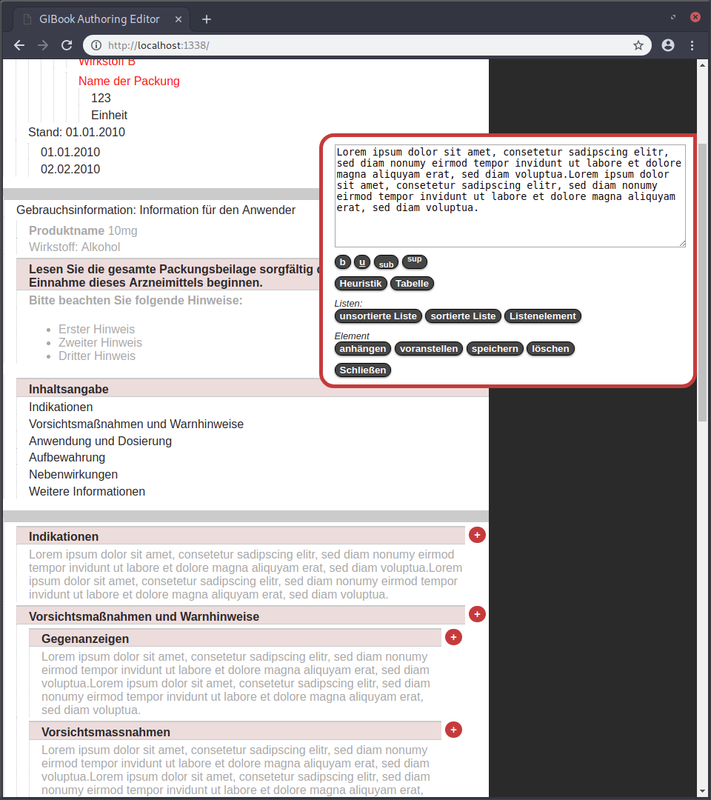 The Telekom Trainee Information Management platform (in short TiMon ) is a web portal that was designed to automate the process of the interaction between employees, trainees and the legal requirements. 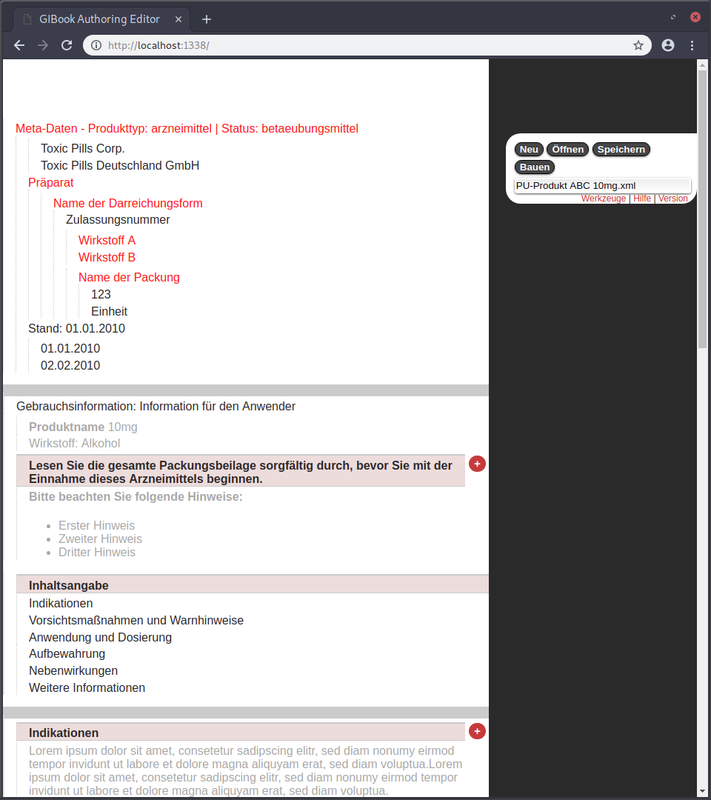 The online platform integrated a chat, calendar features, synchronizable events with the Telekom MDA ( Windows Mobile platform), document management with an automated conversion, signing and submission pipeline to the German IHK. 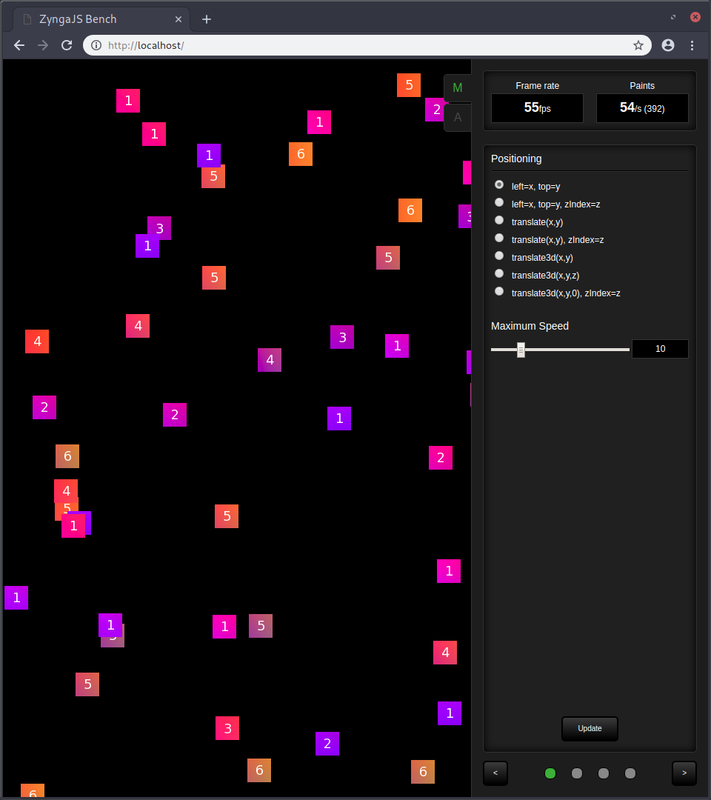 StegIt is a tool to embed and extract steganographically hidden data in various image formats. It intelligently searches for all possible rectangular areas in order to recognize patterns that look like encrypted blocks of known algorithms. StegIt is able to recognize multiple header formats intelligently and offers various ways of using password-cracking techniques on the image in order to encode/encrypt or decode/decrypt it. Additionally, various synchronous encryption algorithms can be chosen from to use a password for embedding your data. If you want a chit-chat you can contact me on most of the Social Networks (they are linked at the top in the About Me section), usually I'm available under the pseudonym @cookiengineer . On the other hand, if you want to work together with me in a professional manner and have challenging problems to solve, you are invited to contact me via this contact form here. I just wanna chat a bit. Let's build something amazing together. We need your help as a Freelancer. I hereby challenge your Cyber Defense AI!